One of the fifty readings that the Royal Court organised to celebrate its 50th birthday at the beginning of this year was of Robert Holman’s Rafts and Dreams. Near the front row, having a whale of a time was Simon Stephens. At the end of the play, as Simon sauntered out of the auditorium in high spirits, he joked with former colleagues from the Court that all he’s ever written has just been 'nicked' from Robert Holman. Looking at Stephens’ work, you might notice some plays being more Holmanesque than others (Port and Herons for example). They are often more drink-sodden and more violent and there are many other influences running alongside. Martin Scorsese’s Taxi Driver haunts his first Royal Court play Bluebird and his latest Motortown in equal measure. There are other film influences. There is Chekhov (particularly in Christmas and On the Shore of the Wide World) and there are Peter Gill and Tom Murphy. But Holman always comes through. In the bleak landscape of Motortown, the only hope comes from the relationship between Danny and Lee, a relationship that appears to be, for a moment at least, incestuous. This echoes the juxtaposition between the brutality of Kerry’s background and the harmony of Freya and Joachim’s existence in Holman’s Holes in the Skin. As T.S. Eliot would say, Stephens steals rather than borrows and he soaks up his influences to make them his own. He absorbs them like a punk or country band rather than name-checking them like a hip-hop MC or Tom Stoppard. There is a great deal of Robert Holman about him, both in the depth and delicacy of the writing - there's an intense fragility in some of the relationships he offers us, and sometimes the daring of that is what is so moving - but also in the unexpected extremity of the action. Motortown begins as an Edmondesque satire on contemporary Britain, but it turns much darker in the central torture scene. It tears a hole in the play in many ways; the blank irony of the previous scenes does not prepare us for what we see and the sheer lack of authorial commentary (nothing in the scene hints to us what we 'should' be thinking or feeling) gives the horror a first-person directness. So searing is the sequence that perhaps it takes us time to adjust to the rest of the play. It's an astonishing formal rendering of cultural disgust and in its way is as daring as Holman's flood and ape and lightning. Without the delicacy of the relationships and affirmation of friendship and love, this could seem flashy and modish, but this writing goes a long way down. 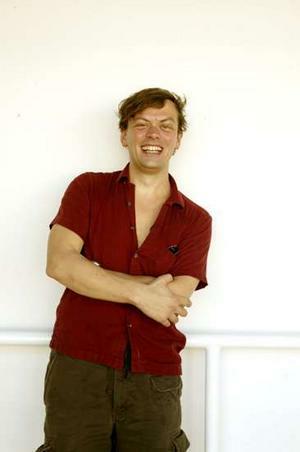 Right now, Simon Stephens rocks. He is writer-in-residence at the National Theatre and is writing a musical with Mark Eitzel from American Music Club. He arrived on the scene at the end of the 'In-Yer-Face' period and took a while gaining the recognition he deserved but has over the last two years started moving out of studio spaces. He now has the opportunity to make the sort of impact on the modern theatre that Holman has not succeeded in doing for various reasons. He is, along with David Greig, David Harrower and David Eldridge at their best, among the most talented playwrights of his generation. It's a shame that Motortown was not seen by more people, but it has toured to Vienna where it was received very well. Let us hope that the British theatre can hold on to Stephens and doesn’t let him become one of the many talented playwrights (Bond, Barker, Motton, Kane) who are lauded on the continent but sinfully neglected in their own country. And the reason Motton does better abroad is that his plays are better in translation. As with the poems of Edgar Allen Poe, the fatally cloth-eared quality of his dialogue is filtered out in the passage into another language. Compare the number of Kane productions at the Avignon Festival in both the fringe and official programmes. Also consider the fact that only a couple of years ago the Schaubuhne in Berlin put on retrospective season of all of Kane's work. Obviously Kane's work gets revived on the fringe and at universities, but it's signigicant that Thomas Ostermeier's production at the Barbican will be the first large-scale production since the Court's posthumous retrospective. the problem is, kane's work wasn't so good though, not yet. she was still struggling with finding a form for what she wanted to say, and she left a bunch of gawky, adolescent plays, that don't always work so well on stage. and that were maybe given a little more respect than they deserved after the furore over 'blasted' and her suicide. i think she was just perhaps finding her real voice when she died. it's very sad we'll never see what her later work would have been like. i couldn't agree more. she was a writer finding her voice and it's a pity she didn't live to find it. she was an arresting prose writer from time to time, but the body of work she left behind is distinctly lacking in dramatic edge and maturity as a set of plays. i can only think that time will become the great equalizer in her case. kane's plays will always appeal to students because of their adolescent angst factor but as one gets older i'm afraid the aphoristic hot air tendencies in her plays grow more tiresome. i think they appeal to the continent because, frankly, european directors can do whatever they please with them to no discernable ill effect.